I was writing earlier today about the Independents or Congregationalists, who were the spiritual and theological heirs of the Puritans and the Cromwellians. 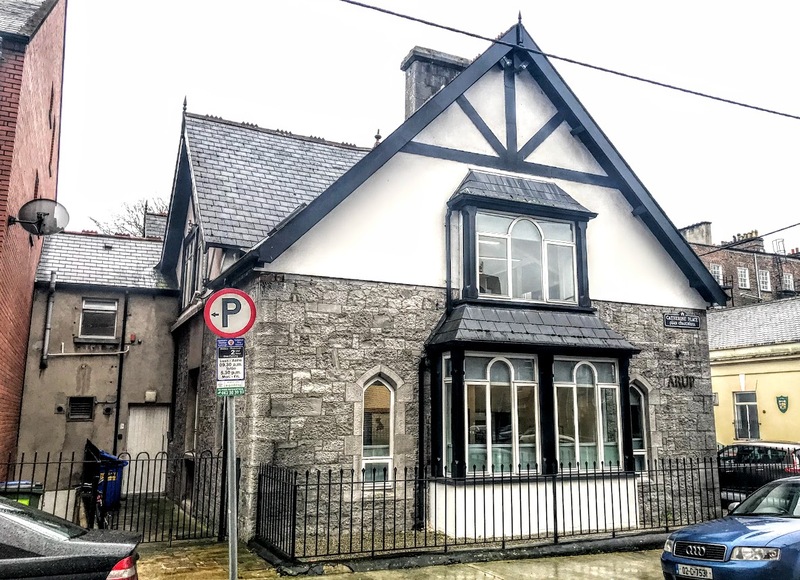 From the early 19th century they had a chapel in Bedford Row, Limerick, and later moved to a purpose-built Congregationalist Church at the Pery Square end of Hartstonge Street, Limerick. Another evangelical group that arose in Limerick in the first half of the 19th century is the Brethren or Plymouth Brethren, who owe their origins to the preaching of John Nelson Darby (1800-1882). 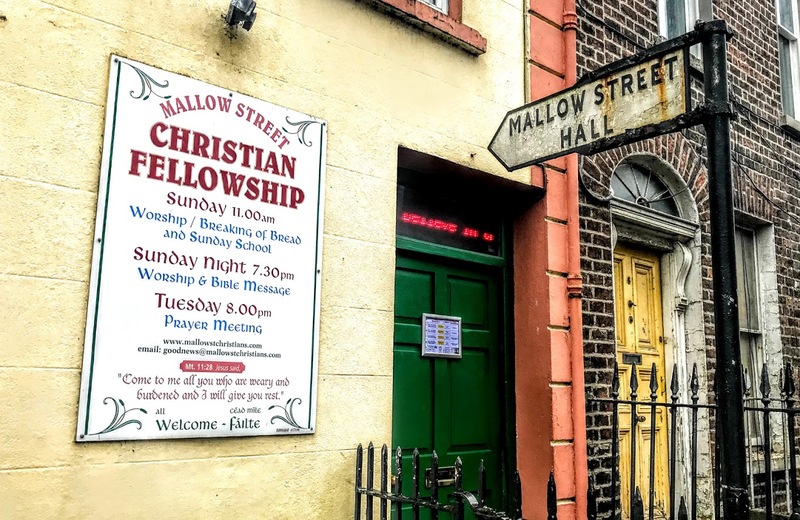 Today, the Brethren continue to be represented in Limerick in the Mallow Street Christian Fellowship, which has its roots in gatherings that were known as ‘Bible Readings’ or ‘Reading Meetings’ that were held in Limerick from about 1830 to 1850. John Nelson Darby was born in London, and was given his middle name in honour of his godfather, Lord Nelson, at his baptism. His family returned to Ireland in his early childhood, and although there is no evidence that he ever studied theology he was ordained deacon in the Church of Ireland in 1825 and priest in 1826. He was appointed a curate in Delgany, Co Wicklow, but he resigned in 1827 during a dispute with Archbishop William Magee(1766-1831) of Dublin, and left the Church of Ireland in 1831, the year Archbishop Magee died. By then, Darby was preaching from a chapel in Aungier Street, Dublin, and travelling throughout these islands. In 1831-1832, he visited Oxford, Plymouth, Cork and Limerick, and in Limerick and Cork he occasionally preached in the pulpits of the Church of Ireland. These visits mark the beginning of the Plymouth Brethren in Limerick, and their meeting house in Limerick was built some time between 1850 and 1880, around the corner from the site of the former Saint George’s Church, and close to both Trinity Episcopal Church on Catherine Street and Saint Michael’s Church on Pery Square. 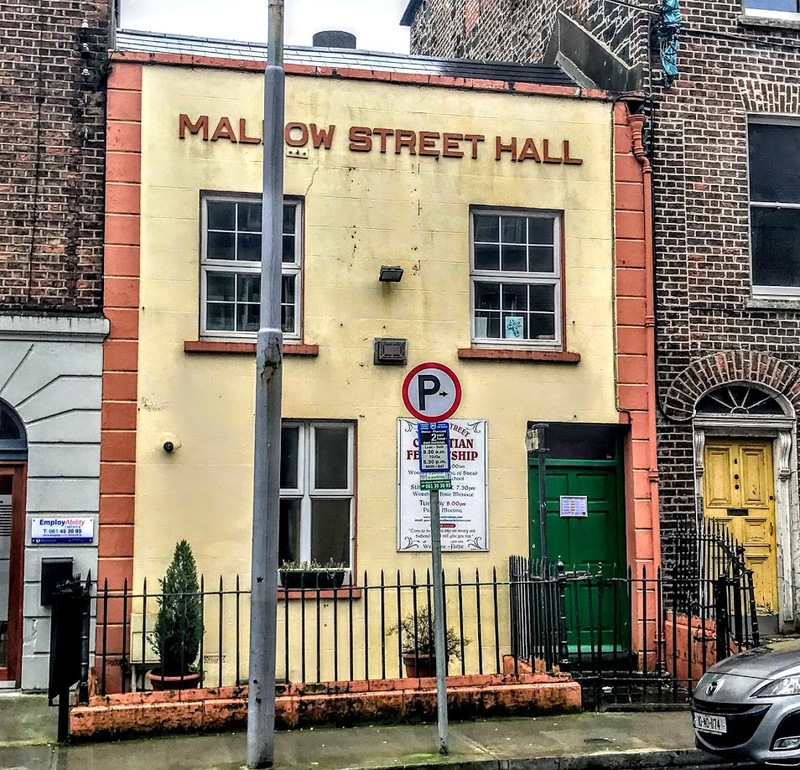 The hall on Mallow Street remained open until the early 1950s, but then closed briefly because of a lack of members and leadership. The remaining family joined with a similar group that had been meeting in the former Quaker Meeting House in Cecil Street Hall for over 30 years, later the Red Cross Hall. 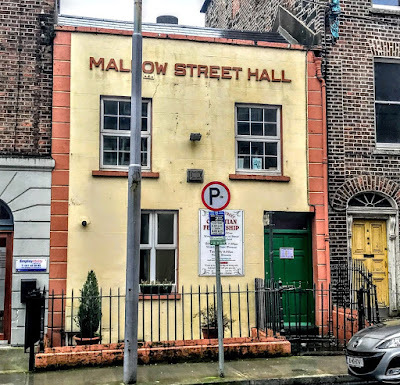 In February 1953, that group moved into Mallow Street Hall and resumed the original functions of the Gospel Hall. The original apex roof inside is still visible in the gallery. The baptismal bath in the floor is said to be similar to the one that had served in the Baptist Church on Quinlan Street. The congregation now calls itself Mallow Street Christian Fellowship, and meets for Sunday worship at 11 am and on some Sundays at 7.30 p.m. with mid-week prayer meetings at 8 p.m. on Tuesdays. 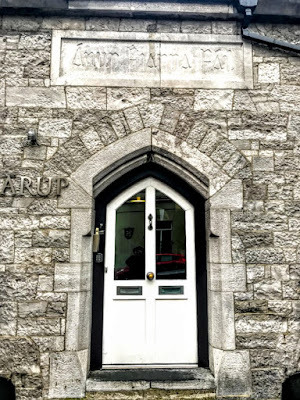 Across the street from Ozanam House on Hartstonge Street, Limerick, and the offices of the Society of Saint Vincent de Paul, with the former private chapel of the O’Mara family, the offices of Arup Engineers are in a former Congregationalist Chapel that recalls another forgotten or hidden church building. The Congregationalists or Independents, as they were originally known, were a group of Calvinists Dissenters who refused to conform to the Church of Ireland. They were the spiritual and theological heirs and successors of the Puritans and Cromwellians. At times, like many other Dissenters, they suffered from legalised discrimination. The Congregationalists had a meeting house on Henry Street as early as 1816, with the Revd Dr CG Townley as their minister. In 1821, they moved to a new meeting house on Bedford Row. That year, the Wesleyan Meeting Hall opened three doors down from the Independent Chapel. In 1824, Pigot’s Directory of Ireland reported ‘the Independent meeting house is a large handsome building in Bedford Row.’ The Congregation Union of Ireland was formed five years later, in 1829. The entrepreneur Sir Peter Tait (1828-1890), who was Mayor of Limerick on three occasions and who gave his name to the Tait Memorial Clock in Baker Place, married Rose Abraham, a Congregationalist, in the Independent Chapel in the 1850s. 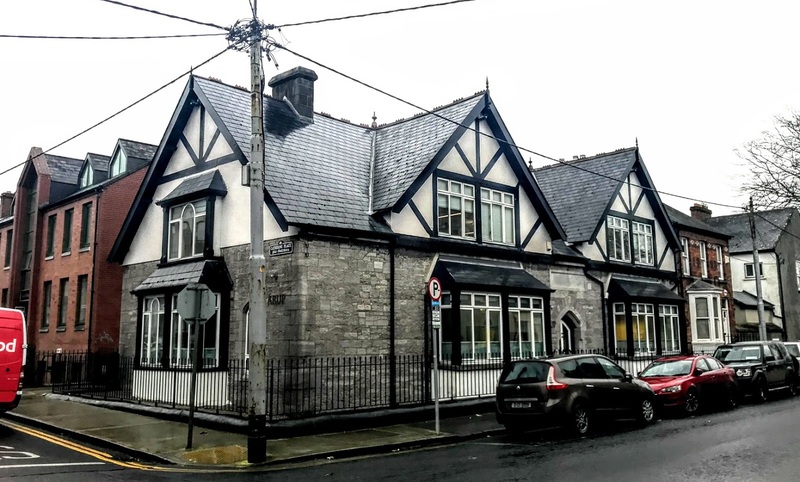 It was here too that the great American abolitionist Frederick Douglass spoke before a large gathering in Limerick when he was on a speaking tour of Britain and Ireland. 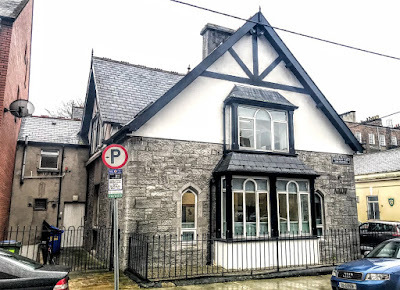 The Independent or Congregationalist Chapel on Bedford Row ceased to be a place of worship around the late 1890s when they began building a new meeting house on Upper Hartstonge Street designed by the Limerick architect Robert Fogerty (1843-1907). Robert Fogerty, was a son of Joseph Fogerty (1806-1887), and was baptised nearby in Saint Michael’s Church. He worked in India for some years in the Department of Public Works in the Madras Presidency. He returned to Limerick in the 1870s and joined his father in his practice there. In about 1878 he was appointed diocesan architect for the Representative Church Body in the Munster dioceses, except Killaloe. In Limerick, he lived at Glentworth Street and at Henry Street, where he died. He is buried in the family vault in Saint Mary’s Cathedral. The chapel on Bedford Row was then used in 1890s by the Baptists Congregation in the 1890s while they waited the building of the new Baptist Church on Quinlan Street. The former chapel on Bedford Row became Lynch’s Cabinet Factory and in later years was part of Spaights Hardware owned by the McMahon family. The new Congregationalist chapel on the corner of Hartstonge Street and Catherine Place was a three-bay building and is believed to have been designed by Robert Fogerty. It is designed in the Victorian Elizabethan style, and – like the former Leamy School across the street – it is another essay in the exuberant Victorian style, offering an interesting and curious stylistic contrast to the surrounding Georgian architecture of Newtown Pery. The building has bay windows on two sides, large gabled dormers, a pointed-arched door opening, encaustic tiles, a hipped roof finished with terracotta finials, a limestone chimneystack, and wrought-iron railings. The Congregationalists did not stay here for long. By the 1901 Census, the building was listed as Lansdowne Soldiers’ Home. By the 1940s, the building was the Munster and Leinster Centre for Fianna Fáil, and the name can still be seen over the door. The building had a number of other uses after that, and it was a scout hall until 1980, when it was renovated. Since 1982, it has been the offices of Arup Consulting Engineers. Although the Congregationalists have long faded from the denominational array in Limerick, this building remains a reminder of the variety and diversity that make up the colourful mosaic of the city. Updated 11 January 2018: to clarify the architectural remains on Bedford Row are from the former Wesleyan Methodist Chapel.